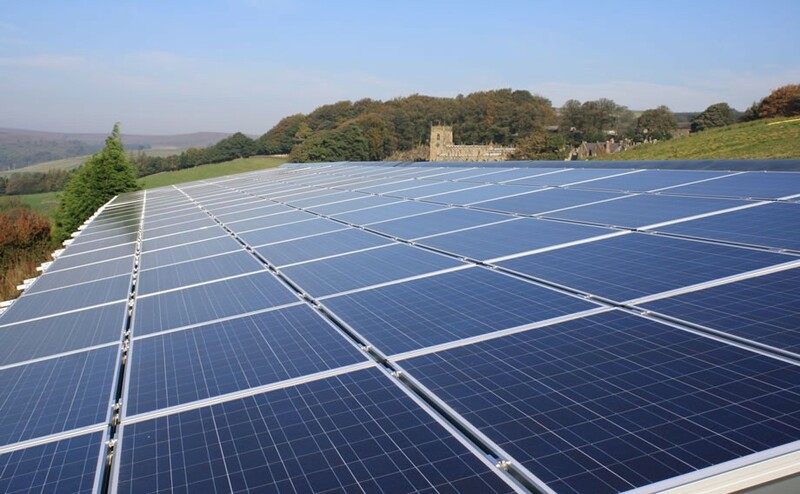 Using commercial solar panels to reduce your company overheads makes perfect business sense. But without routine cleaning dirt and grime build-up on your solar panels and reduce how they perform. Solar panel cells are fragile, because of this our solar panel cleaning team are highly trained. They deliver careful cleaning using soft head, water fed pole fittings with no harsh chemicals. As a result no damage is caused to the panels, and they are brought back to as new condition. IPAF Licensed for cherry pickers, scissor lifts for difficult to reach areas. £1.5 million public liability insurance (can be increased if required). Fully uniformed, DBS checked and highly trained staff. Our team provide commercial solar panel cleaning to all types of customers across Warrington and the surrounding areas. For example supermarkets, schools, offices and large commercial sites, pubs, hotels and restaurants. We suggest yearly solar panel cleaning to keep your panels working at their best. However, if your site is located in an area close to heavy traffic, or covered by trees for instance, a 6 monthly clean is advised. To find out more or for your free commercial solar panel cleaning quote please contact us. Or visit our FAQ page for further details.